He is the loving & devoted husband of 55 years to M. Yvonne (D’Eon) Taglieri of Revere. Cherished father of George Taglieri, III & wife Jane of Boston, M. Yvonne Merrill & husband Darren of North Andover and Roberta K. Moeckel of Saratoga, NY. Adored Papa of George Taglieri, IV of Arlington, VA, Zachary W. Taglieri of Boston, Trey A. Taglieri of Burlington, VT., Trevor J. Merrrill of North Andover, Emma S. Moeckel & Matthew A. “Matt” Moeckel, both of Saratoga, NY. Dear brother of Barbara Perry of Revere & her late husband Edmund and the late Carol A. McNulty & Marjorie A. Donovan. Lifelong friends of Joanne “Googie” Giannino & her late husband Ret. RFD Crescenzo “Christy” Giannino. Also lovingly survived by many loving nieces, nephews, grandnieces, grandnephews, & his large family of Revere Firefighters. 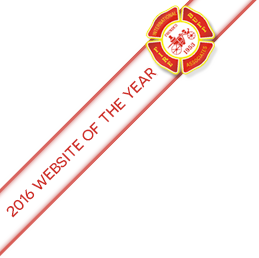 The Box 52 Association is proud to have member and Cambridge Assistant Chief Gerry Mahoney named as the 2016 Fire Buff of the Year and have the Box 52 Website named 2016 Website of the Year by the International Association of Fire Buffs. If you want to receive emails with the latest General Orders and the Line Box Newsletter, please keep the media staff informed when you change your email address. We have experienced many "bounce-back" emails because of members changing their email address and not informing us of this change. 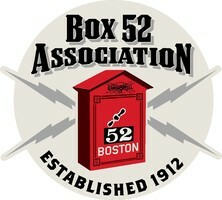 Please remember to contact Frank at CLICK FOR EMAIL when you change your email address so that you can stay up to date with the latest Box 52 information.